Peter Biar Ajak, a Cambridge University PhD student who has been detained in a South Sudan prison since last July, was charged on Monday with sabotage, insurgency and possession of weapons, along with six others, all of whom have pled not guilty. According to a report by the Associated Press, the charges have been brought forward by South Sudan’s National Security Service (NSS), and relate to an alleged prison uprising by other detainees in October 2018 in South Sudan’s main national security prison, the “Blue House”. The charges carry possible death penalty if the accused are found guilty. Ajak was originally detained by the NSS at Juba International Airport on 28th July 2018, and has still not been formally charged for anything relating to this initial arrest eight months ago. Ajak had been an outspoken critic of the South Sudanese government’s response to the country’s ongoing civil war. 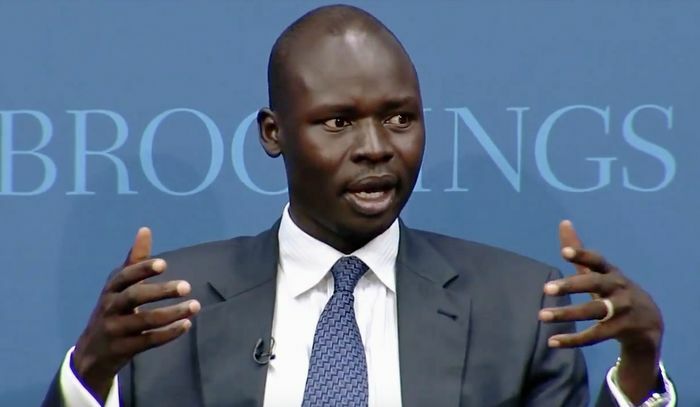 He is a chairperson of the South Sudan Young Leaders Forum, and was arrested while on the way to an event held by the Red Army Foundation, an organisation created by former child soldiers to advocate for peace and address social issues in the country. Over the past few months there has been mounting international pressure on the South Sudanese government to release Ajak and others who have been similarly detained. Detaining a person without charge for more than 24 hours is illegal under the South Sudanese constitution. In September 2018, Vice-Chancellor Stephen Toope wrote a letter to the President of the Republic of South Sudan stating that the University “call[s] on the government to either release Peter Biar Ajak, or to bring charges against him in a timely manner in accordance with the rule of law and to grant him access to a lawyer.” Ajak’s cause has also been championed by international human rights organisation Amnesty International. Earlier this month, members of Cambridge University Amnesty International protested Ajak’s arbitrary detention by camping out in a wooden cage on King’s Parade for two days. Two more hearings are scheduled for later this week. This article was updated Thursday 28th March 14:51 to add a comment from the University of Cambridge, and at 18:02 to add a comment from Cambridge University Amnesty International.